This one is probably a collectors item for airline enthusiasts. 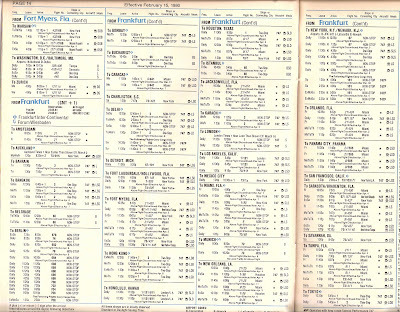 It features both Pan Am and National Airlines schedules. 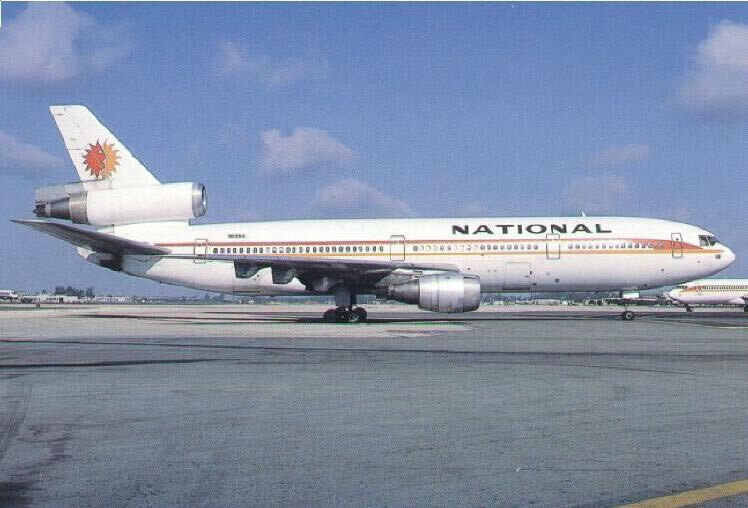 National was taken over by Pan Am in 1980. I flew National once or twice on the JFK-MIA run and flew many times on Pan Am when I lived in Miami. I was lucky with Pan Am's Worldpass miles when they were coordinating with American at one point. 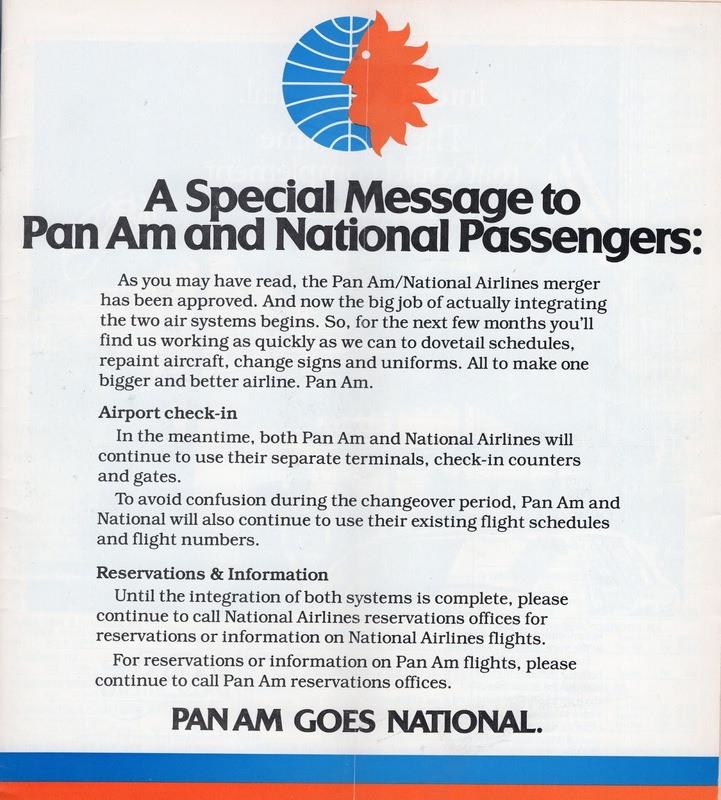 I transferred all my mile to American, and so I kept them after Pan Am went bankrupt in 1991, the same year Eastern went under. 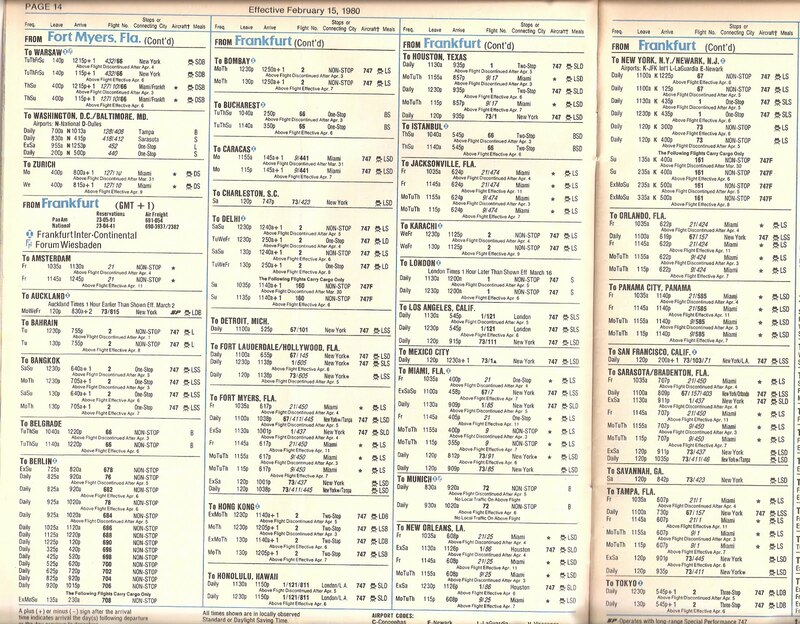 At this point, PanAm was still operating a hub in Frankfurt, Germany.